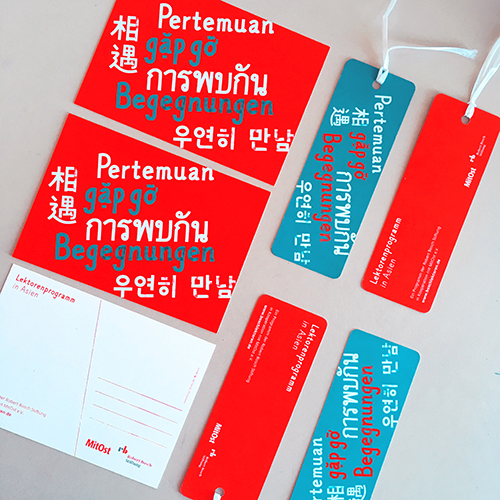 Studio Wu 無 was entrusted with the redesign of the visual identity for „Lektorenprogramm in Asien“– a scholarship by Robert Bosch Foundation and the association Midost e.V. 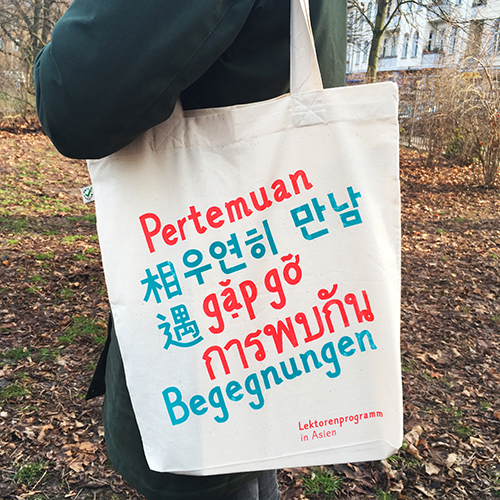 which enables young graduates from Germany to teach German and to realize self-organized projects at host universities in Eastern Europe and Asia for the duration of 1–2 years. 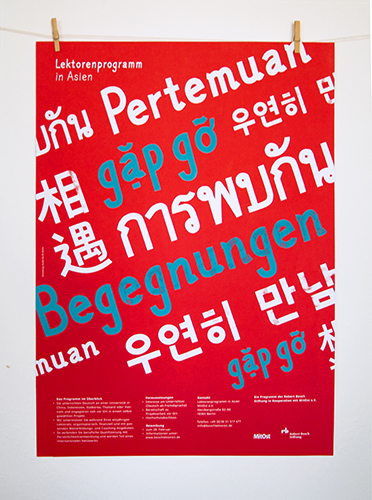 The result consists of multilingual typographic visuals translating the central term „Begegnungen“ (Engl. 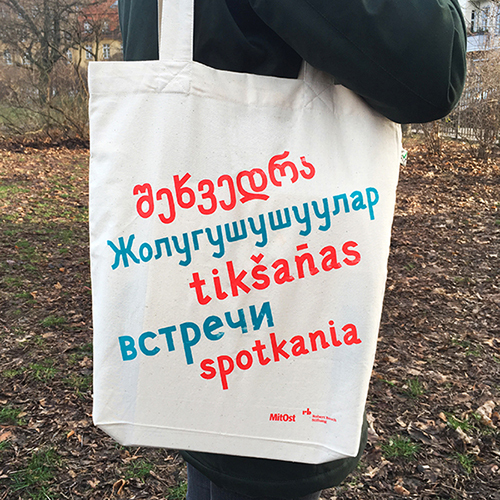 : encounter) into asian and eastern European languages, all created in screen-print aesthetics emphasizing the experimental character of the project.